Do whatever you can to maintain optimal levels of network performance. For small and medium-sized businesses and enterprise-scale corporations alike, your network is your lifeblood. No matter the industry or marketplace, every aspect of modern business relies on stable network connections to function properly. In a perfect world, both enterprise and SMB networks would be "set-it-and-forget-it" solutions, requiring little to no hands-on intervention to maintain peak performance levels. That ideal is far from reality, though, and in-house IT professionals and outsourced teams routinely pull their hair out trying to keep up with all of the network-related issues that can crop on a regular basis. These three networking nightmares, in particular, keep IT pros up at night. Downtime strikes fear in the hearts of network administrators and engineers in the way that no horror movie or boogeyman ever could. Whether the issue stems from an on-site problem, a business's ISP or the physical infrastructure, outages are costly affairs and need to be addressed quickly to stop the bleeding. A 2016 Information Technology Intelligence Consulting study revealed that a single hour of downtime will cost 98 percent of businesses more than $100,000. The quicker IT teams can identify and fix network problems, the sooner companies can get back to business as usual and the less expensive periods of downtime will ultimately be. Chronic network performance issues can be expensive if not addressed. If downtime is basically a doomsday scenario for IT teams, network latency is the far more common irritation that keeps nipping at their heels. Dips in network speed and performance are just as pernicious as more catastrophic issues since they are more likely to occur with regularity and impact business operability. Some latency may be unavoidable – businesses relying on antiquated internet infrastructure will always be confined by the physical restraints of their physical network. 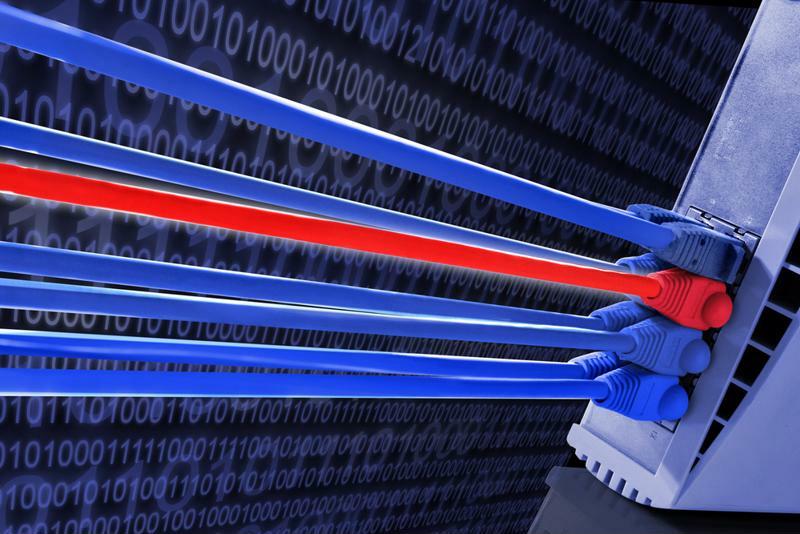 Upgrading to fiber would certainly help in these scenarios, but that is not always an option. On-site components like routers, switches and modems can all have an effect on network latency, and going with the most cost-effective commodity hardware may wind up costing businesses more money in the long run. "Traffic spikes are both a network performance and security concern." A network may function perfectly fine under normal conditions, but buckle when faced with unforeseen surges in usage. Such traffic spikes can be predictable – a financial services agency will likely see more activity in the run-up to tax season, for instance. Others can come without warning: The dreaded distributed denial-of-service attack can strike at any time, flooding company networks with fraudulent and potentially malicious traffic. In that regard, traffic spikes are both a network performance and security concern, requiring strict vigilance to plan for and address. Whatever network issues are keeping your IT pros up at night, a dedicated IT managed services provider can help them rest easy. From round-the-clock monitoring services to proactive maintenance, TEKConn provides the very best managed IT services NYC has to offer.